Don’t you hate it when you wake up in the morning suddenly, startled, somehow KNOWING instantly you overslept? “WHAT TIME IS IT? !” your brain screams before anything else even registers. That’s how I woke up on Saturday, at five minutes to 8:00 AM. I was supposed to go pick up a rental car at 8, but in my early morning haze I had turned my alarm OFF instead of snoozing it. I scrambled to get ready quickly; when my friend DeeDee arrived to get on the road, instead we had to go get our car first. It added about an hour to our morning, but overall it wasn’t a terrible thing. In fact, we got a better car than I reserved for a great rate (gotta have cruise control) and we got on the road a little after 9 without any other issues. This road trip came together rather quickly in the grand scheme of things; I had some vacation for early July that I hadn’t decided if I was actually going to do anything with or not. When I ended up moving it to this week due to a software launch at work (which ended up getting delayed anyway) DeeDee asked what I thought about visiting our mutual friend Alex in Salt Lake City. It grew pretty quickly from a flight to SLC to a ten day road trip through six states. After only about three weeks of planning, we zipped out of Tulsa with a full itinerary. Yes, we actually typed up an itinerary. Day One’s driving would be the longest single stretch of the entire trip. 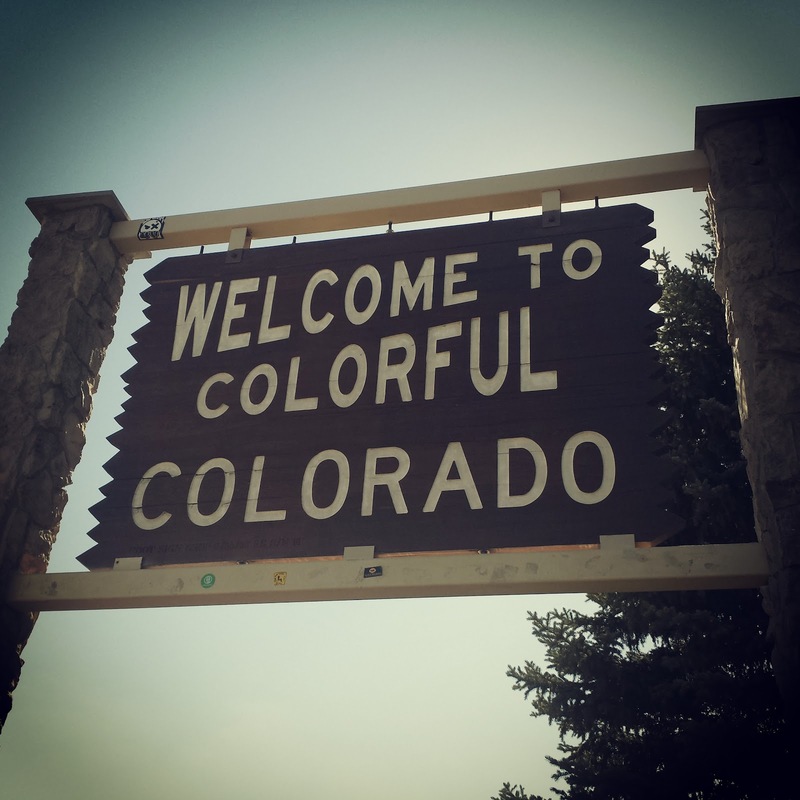 Over ten hours of travel time from Tulsa, up to Wichita, and over to Colorado Springs. There was one stop I definitely wanted to make on the way, conveniently about half way, in a small town called Hutchinson, KS. Some time ago, I read an article that listed some great old cinemas throughout the country. I keep that list in mind any time I plan any kind of travel, and one such theater exists in Hutchinson. 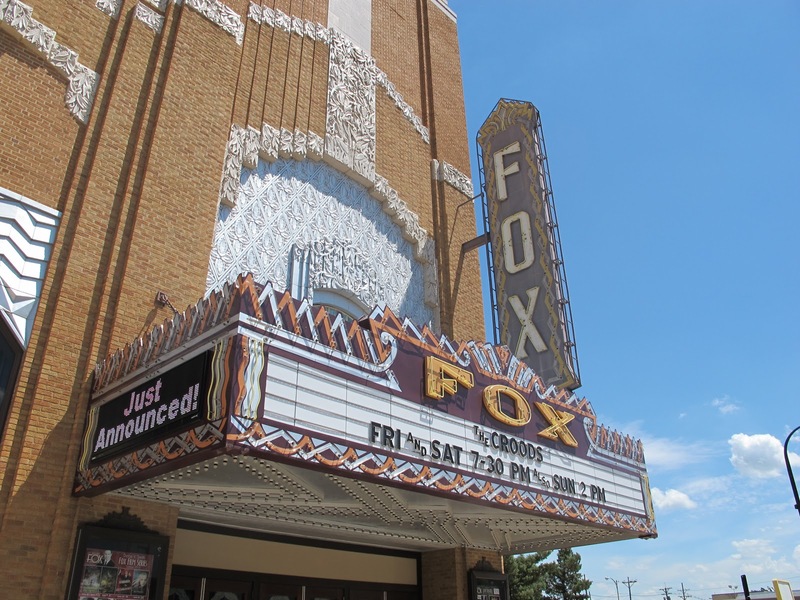 The Fox Theater was built in 1931 and the facade looks brand new. It’s nestled in a small town full of the character you’d expect from such a location; I was actually a little sad that we couldn’t stay longer to explore the quaint downtown, but we had a long ways to go. We did stay to eat, though, at a local drive-in place called R-B’s that had FANTASTIC homemade onion rings. 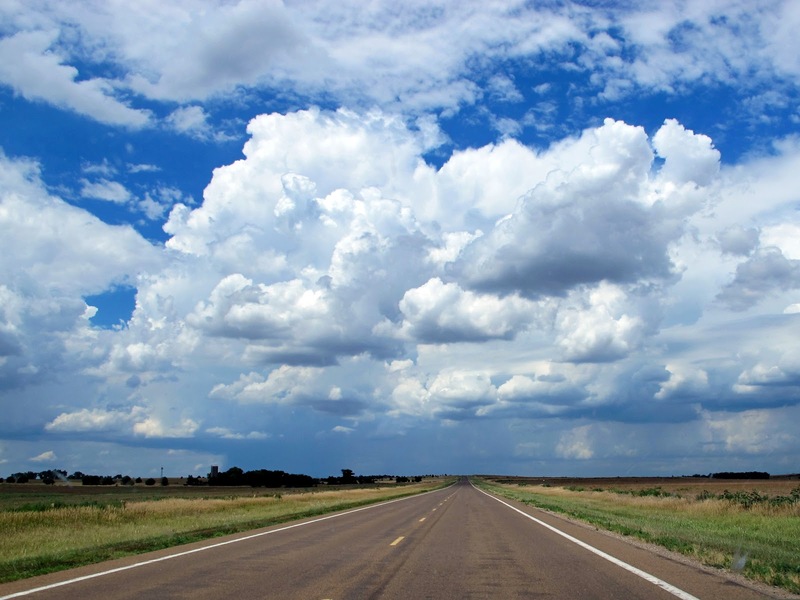 Several people had been very adamant that western Kansas was extremely flat and boring. Once we got on I-35, I could tell what they were talking about. Luckily for us, though, the sky was dynamic enough that we were able to keep ourselves entertained on the long drive to the Colorado border and beyond. In fact, we ran into a few pretty harsh pop-up thunderstorms, including one where the rain was so heavy I nearly pulled off the road to wait for it to pass. At least it washed all the bugs off the car! Wind farms also dotted the horizon was we wound through corn and wheat fields and to the Colorado border. Highway 24 in Colorado was a lovely twisty-turny highway full of small towns to keep the scenery fresh. The car handled very well and I was quite thankful we hadn’t opted for the compact car. Regardless, when we finally arrived at our motel, it was a quick dinner and lights out. Tomorrow promised to be a day full of wonder. This entry was posted in Uncategorized and tagged Colorado, Kansas, road trip, travel. Bookmark the permalink.